What a healthy child matters for your family. It matters alot right ? we all want the children should be healthy enough and as we all say "Health is Wealth". This quote is so true. Without health, The wealth is of no use. Today I'm going to share the life of two children's. They both are living in my society. I daily use to meet them as they live in my neighborhood. They both are very cute, charming, beautiful. They both look a like princess. They both look a like Cinderella. But the problem is one of them is very fit enough while, the other remains ill regularly. So, as we said so - A Healthy Child Makes a Happy Home. This comes true here. 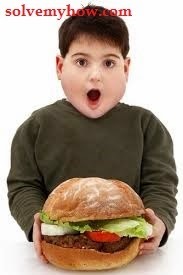 This is how the unhealthy child look a like. Always tensed, worried and unfit. Whenever I saw at Leena's (the girl getting ill regularly) parents. They look worried all the time. They look disturbed all the time. They regularly used to take leena for check up. She's just 3 years old and suffering from hell problems. So, how can there family remains happy as she is not so fit. Because of her illness they have to give up there vacations, weekend parties, yearly holiday's plan. Everything is just spoiled. But her family loves her a lot. She is too, a brave girl. God Bless Her ! This is how a happy and healthy child look a like. Similarly if we see the first girl named Jaya ( the fit girl ). She remain fit all the time. Her family is enjoying alot. They used to go for parties, Dinner outside, Weekends, Yearly Vacations, etc. So, This show how much her family is happy. They do not have to worry about jaya as she is fit enough. They really get happy when they see the smile on jaya's face. She's very cute girl and She's is on Facebook. So, this what makes the difference between two and their family and that's why I say " A Healthy Child Makes a Happy Home " ! Fitness is very important in life. Without It nothing is more useful. I know the similar cases are in there in every city, states or country. That's why I suggest you to take Dabur Chyawanprash for your children as well as for yourself too as it has 3x immunity. Healthy youngsters, Healthy Country ...! Note :- This post is written as an Indi-Happy hour campaign - "A Happy Child Makes a Happy Home", in association with Dabur Chyawanprash and indiblogger.in ! What do you think - A Healthy Child Makes a Happy Home or not. Do share your point of view with us via comments. Do share this post various social media to spread awareness and also join with us to get the answer of every How into your Inbox.